I’ve loved singing since I can remember, but I only started taking lessons and doing coaching when I was about 11. It wasn’t until the fall of 2016 that I had that urge to make my own music. That’s really when I started learning about the process and started writing. My influences change a lot, but right now I’ve been inspired by a lot of David Bowie and Radiohead. I’ve currently been listening to a lot of Beach Fossils, The Strokes, and The Growlers, too. I’m also really inspired by all the local artists and the community that is Asbury Park. Especially the female artists! There are so many amazing ladies in Asbury such as Meg Cannon, Pamela Flores, Lauren Patti, MACK, and The Vaughns, just to name a few, that also inspire me to keep working. How did you get involved with Moto Records? I got involved with Moto Records when it was first starting about a year ago now, which is a label through Lakehouse Music Academy. I was set to go to college at Belmont University in Nashville. I realized that there was more to learn about music before I went. Luckily I have extremely supportive parents who completely backed my decision. In October of 2016, I heard about Lakehouse and started taking lessons there. I didn’t realize what amazing things were already here only 15 minutes away from my house. I’m really happy I stayed because of all the amazing people I’ve met through Lakehouse! What does “Hurt.” mean to you, and what do you want your fans to get out of it? “Hurt.” is a song I wrote with Tor Miller at the beginning of the fall (2017). "Hurt." is really special to me. This song is about unexpectedly running into someone after a long time. You’ve always liked this person and all of those feelings are back all at once. There is an internal struggle throughout the song where you're going back & forth wondering if you should let this person in and how to act. You almost get ahead of yourself because people grow & change, you might not know the person sitting in front of you anymore. You keep putting yourself out there and putting this person first, and you keep getting hurt. I think for people listening to this song it's relatable in a romantic relationship sense, but could also be relatable in friendships as well. We can’t force things with people, even if we want it so bad. We need to learn how to care for ourselves first before we can truly give and accept the right love. I think it also begs the question, is it better to have loved and lost than to never have loved at all? I really hope people like "Hurt." and relate to it in their own ways as well. 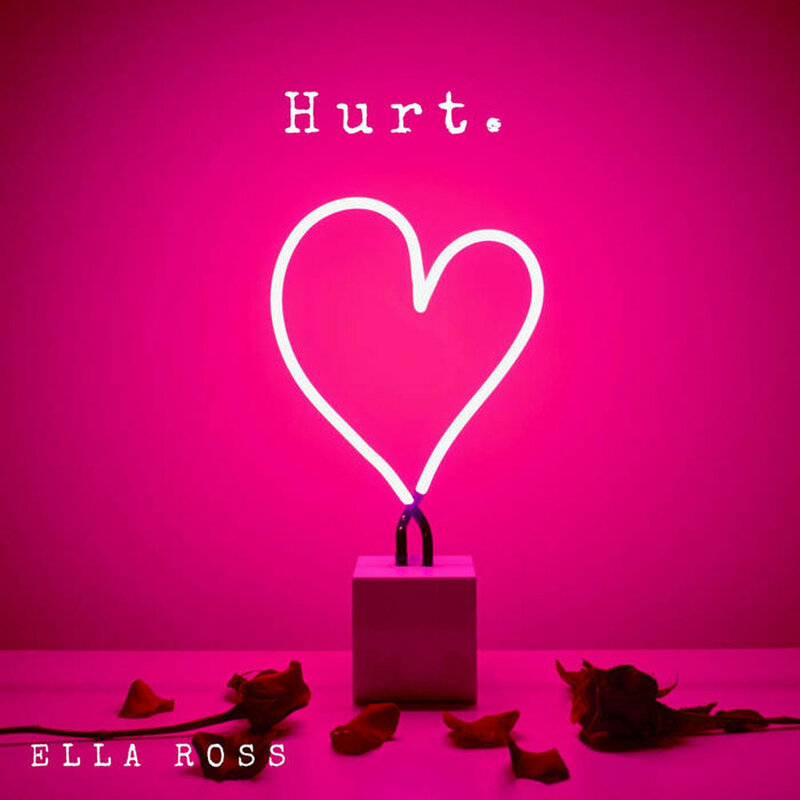 Make sure you check out “Hurt.” on Spotify and follow Ella on Instagram and Facebook for updates!